On April 17, 2015, the U.S. Environmental Protection Agency (EPA) issued its final regulations addressing the disposal of coal combustion residuals (CCRs) generated from the combustion of coal at coal-fired power plants that produce electricity. 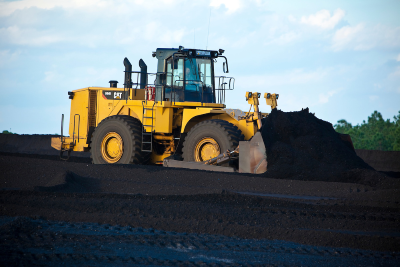 EPA’s rule imposes a number of requirements to ensure continued safe operation of CCR landfills and surface impoundments across the United States. Seminole Electric Cooperative, Inc.’s (Seminole) Seminole Generating Station (SGS) located in Palatka in Putnam County, Florida consists of two coal-fired steam-electric generation units, identified as Units 1 and 2, with a nominal generating capacity of 1,472 megawatts. The primary CCRs generated at SGS are fly ash, bottom ash, and synthetic gypsum (a flue gas desulfurization product). Those CCRs are beneficially used to the greatest extent possible. In the case of synthetic gypsum generated at SGS, almost all of that product is directly conveyed to and used by a wallboard manufacturing facility located adjacent to the SGS. CCRs that are not beneficially used are managed in Seminole’s Increment One Landfill.